In recent years, the warmth has become the new darling of home improvement, but the ensuing trouble is what kind of floor is suitable for floor heating. Today, Xiao Bian came to discuss it with you, how to choose the right floor for consumers to warm! The stability of wood is better. The use environment of geothermal floor is complicated. Especially in the north, it is relatively dry. When the geothermal heat is raised, the temperature of the ground rises suddenly. The floor must withstand the double test of â€œtemperatureâ€ and â€œhumidityâ€, so the geothermal floor must be purchased. Material stability is good. 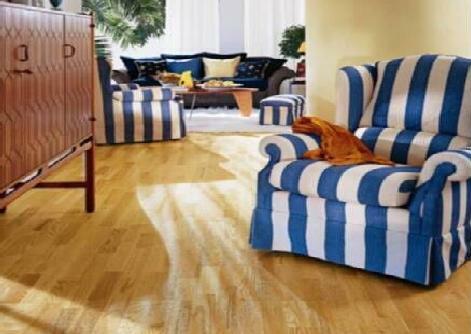 According to the wood processing experience, it is recommended to use three-layer solid wood composite flooring such as white oak, red oak, teak and other wood species. Their resistance to dry heat is relatively strong and they are not easily deformed. The floor is too thick to affect the heat conduction is the ground heat is transmitted to the surface through the floor, so there is bound to be heat loss, the ideal floor should be able to reduce these losses. Under normal circumstances, consumers believe that the thicker the floor the better, but if it is a geothermal floor, it should be thin not selected thick, after all, the wood itself is a warm bad conductor, there will be losses during the conduction of heat. Installation should be a good moisture-proof ground floor in the installation must be done when the moisture treatment, the regular floor manufacturers will lay under the mat moisture-proof membrane, with a tape to the moisture-proof membrane joints tightly adhesive, and the place against the wall to The film stretches upwards and is affixed to the wall at a height of 5-6 cm. This layer of film is mainly used as a moisture barrier on the entire floor to isolate the erosion of the floor moisture from the floor and then lay the floor. In addition, when the floor heating system is used for the first time after installation, it is advisable to raise the temperature slowly, and it is best when the room temperature is around 20 degrees. For the health of you and your family, please choose a product with a high reputation and good brand reputation. Next Post: Encyclopedic knowledge: What is an integrated ceiling?